Perhaps there will be no traditional key fob for the Tesla Model 3? 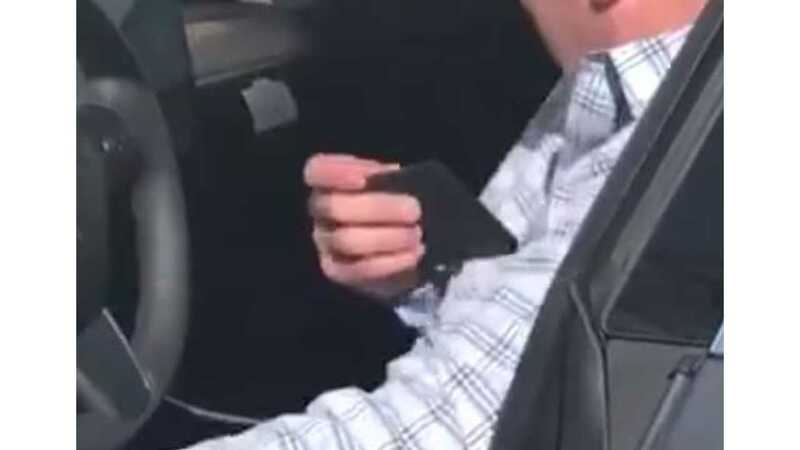 This recent video shows Tesla’s Senior Vice President of Engineering, Doug Field, with a very obvious small, black book or "credit-card-like" item in his right hand as he gets into a Tesla Model 3. Perhaps the elusive Tesla Model 3 key card, or a little black book containing a key card to access the vehicle? It's pretty cool to see another Model 3, which could be Field's newest personal vehicle. But, the Tesla key card could be something even more exciting, and yet another way for the Silicon Valley electric automaker to keep costs down. A closer look shows that Field is carrying the card inside of some kind of case or little back booklet. Based on the zoomed in picture to the right, one could even suggest that Field is simply holding a thin mobile device. 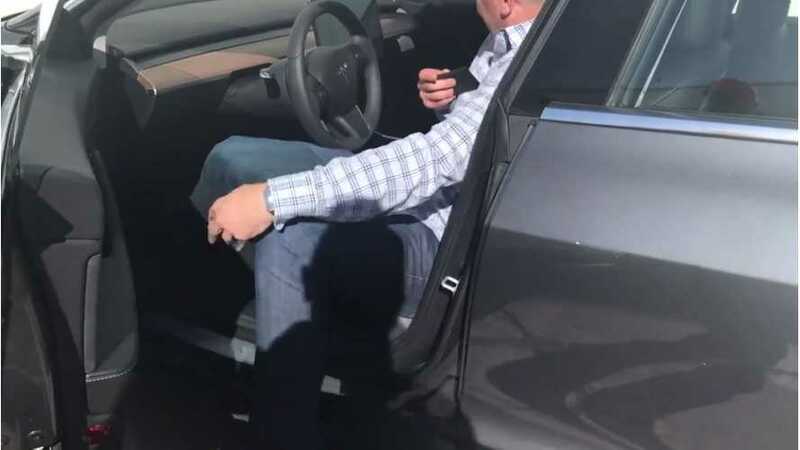 However, further inspection, as well as other pictures, suggest that Field inserts it -- or at least its contents -- into the cupholder area of the Tesla Model 3. A closer picture of the cupholder area shows a white card with the Tesla moniker stamped on it. The Model3OwnersClub and TheTeslaShow took to Twitter to post images of what they're agreeing is set to be the "key" for the Tesla Model 3. If this is true, there will not likely be a standard Tesla key fob like the vehicle-shaped one that we're all familiar with. Perhaps you can still opt for the traditional Tesla key fob as an option, or maybe it comes on certain "special" trims. There's still so much we don't know about the upcoming Model 3, but all of that's set to change this Friday, July 28, when Tesla hosts the Model 3 handover party in Fremont. Of course, we will be filling you in with all of the details from the event as they occur.